1. 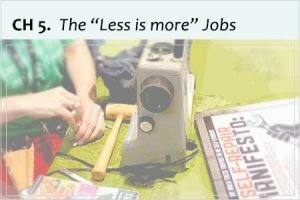 Are We Talking about “Less” Jobs? Are We Talking About “Less” Jobs? Before we start sharing inspiring stories of people/organizations who leverage “less” in the next chapter, we need to address one last daunting question: will producing and consuming “less” shrink economy and result in massive job losses? The issue of jobs is huge – indeed it’s one of the biggest reasons why we support economic growth. We believe that it’s the economy that creates jobs and that no economic growth equals no jobs. But is that true? What does it really mean when we say “the economy creates jobs?” What is a “job” anyway? Is this where the “Less is more” economy taking us? Fundamentally, an economy develops when there is certain amount of surplus production available for exchange/trade, once individual survival needs have been met. A job – that is specific work performed for agreed rewards – supports, and is supported by, such surplus production. The size of an economy and the number of jobs it supports is determined by how much surplus production it generates. For about 99% of the history of human civilization, the production surplus of society was small because manual labor was the only source of energy for production. Since marginal economic excess was spread among people so thinly, most people had to be directly involved in painstaking jobs such as tilling the soil or cutting timber. Non-production jobs were very limited, and concepts like upward mobility were almost inconceivable. These were the eras of “less” jobs, both in terms of quantity and quality. But the modern economy, or rather the Industrial Revolution, changed the definition of the idea of “job.” Now that people had invented ways to access external power sources that were far more effective than manpower, production became much less onerous, yet the yield increased rapidly. Thanks to the unprecedented economic surplus brought about by exponential gains in productivity, unprecedented number/variety of new jobs were created in the industrial/commercial sectors. For the first time in history, people achieved substantial freedom to leverage their abilities such as intellectual, creative or interpersonal skills to seek dream jobs and self-achievement. 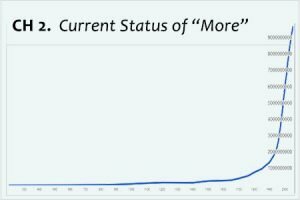 The era of “more” jobs had finally arrived. It is clear that the more surplus the economy creates, the more, better jobs the society gets both in quantity and quality. However, there is a caveat to this conclusion. After almost two centuries of aggressive economic growth that kept adding newer, better, hotter jobs to the society, today we are starting to face not-so favorable job markets again, despite the sheer number of openings. Or rather, quality jobs are becoming harder to access exactly because of the sheer openness of the markets. As we reviewed in chapters 2 and 3, the driving force behind the mesmerizing growth and rapid globalization has been efficiency. It has been doing a thorough job in identifying the most effective resources all over the world, and we, as human resources, have not been immune from the ruthless selection process. Efficiency now scrutinizes, compares and ranks every one of us at a global scale by applying a variety of efficiency standards such as education, test scores, credits or credentials. While we have access to an unprecedented number of quality jobs, we also face unprecedented levels of competition. For example, Google, one of the most popular workplace for job seekers, is said to receive about 3 million applications annually. That is more people than the population of Lithuania! And only about 7,000 of them are accepted, making your chances of becoming a Google employee is around 400 to 1. While it is very true that more economic growth has been bringing more jobs, fierce competition for good jobs is dividing us between a handful of strong winners and the rest. Not only that, the aggressive economy offers great advantages to larger companies, creating a situation in which powerful employers dictate what employees can/should do. Employees have little freedom to choose/design how they want to unleash their unique abilities to contribute to the company, self-actualize and make others happy. Unfortunately, the “more” jobs created by economic growth are not pleasant for ordinary people. So it is worthwhile stepping back and asking if the current strategy to achieve economic growth – keep producing as many new products as efficiently as we can, putting pressure on every single resource including people – is the only way to create more jobs. 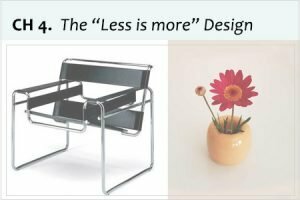 That’s where “less is more” design comes into play. 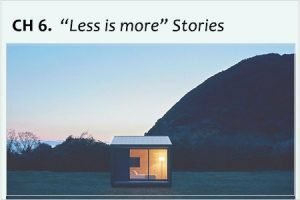 Remember, the core of the “less is more” concept is not so much about producing/consuming less. 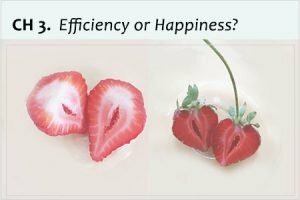 It’s really about unleashing our own potential/resilience, rather than relying on external products or aid, to design our unique form/style of happiness. In a previous chapter, we reviewed the outdoor apparel leader Patagonia’s profound message “celebrate what you already own,” which meant that items/tools you use to experience/accomplish eventually become priceless and make you feel self-satisfied, so you no longer feel the need to keep buying new products to feel happy. Can we apply the same approach and “celebrate the potential we already have” to jobs? Can jobs start leveraging your intrinsic power, instead of acquired credits/credentials? Can they be created without relying too much on the act of producing more in order to grow more? As mentioned above, an economy is a platform to exchange things or services that have value. So theoretically, if you possess certain value or skills (which you certainly do), and if there are people who want them, you should be able to exchange what you have with the reward you seek, in terms of a job. It could be as simple as that, and value exchanges do not necessarily have to involve new products, as long as they result in mutual benefits. Could we exchange/trade the power we already have in a way it supports our lives and economy? Let’s first take a look at a novel (or very rudimentary) way to exchange our fundamental power – physical energy. GoodGym is a London-based, not-for-profit organization that was founded out of a frustration that normal gyms were a “waste of energy and human potential,” while there were “many neglected tasks and people in our communities that need that energy.” In modern society, jobs are highly specialized and typical urban work does not involve any physical activity. After sitting in an office chair for 8 hours, young people feel the urge to burn excess energy, so they to visit a gym to squander their power on a treadmill. Or if they choose not to exercise, the energy will simply be stored in their body and accumulate as fat. At the same time, on other side of the society, there are people who desperately need that energy. They are often old people who live alone, almost completely isolated and struggling to access energy to do simple daily chores such as grocery shopping. But the current efficiency-first economy is not interested in connecting the two, because how much money could you make by doing small chores for old people who live on pensions? As far as human energy is concerned, supply is easily wasted while many demands are left unmet. So Ivo Gormley, founder of GoodGym, decided to do just that. As a former non-gym goer who used to store his energy in his body, he started delivering newspapers twice a week to an old person living alone as part of his jogging routine. He quickly realized that the implications were profound: he felt determined to keep running because of the self-imposed assignment. And the old person suddenly found a “friend” whom he looked forward to seeing twice a week. By transferring useful energy to the old person, Ivo found a sense of accomplishment and healthier body, and the old person was reconnected to the community after a long period of isolation. Both found something much bigger. This inspired him to make it a larger movement, and GoodGym was born. Since its foundation in 2009, the organization is focused on directly exchanging human energy between those who have extra and those who are in need. Throughout the UK, GoodGym organizes groups of runners, who routinely visit isolated old people (called “coaches” because they motivate runners) as part of the road work. They deliver newspapers, do small chores and “befriend” the elderly who often spend the whole week without talking to anyone, or are too frail to go out grocery shopping. Other athletes beautify parks, or pick up waste in the community as part of their training. If the GoodGym runners kept going to the gym and spent their money and energy on a treadmill instead of running for their elderly “coaches,” they would only have contributed to the profits of the gyms. That is the kind of transaction that our society considers as an economic exchange that supports growth. But if you think twice, it is so only because gyms collected hard cash from members and book them as revenue. Other than the financial exchange, the energy generated on a treadmill is wasted for nothing; old people were left forgotten in the other corners of the community, and runners had a hard time maintaining their motivation. There were more missed opportunities in this economic exchange. But GoodGym solved this problem by simply connecting people with excess energy and those who are in need of it, and by transforming people’s raw physical energy into a useful output, without modifying or correcting it. This is an inspiring example of “celebrating the potential we already possess,” that offers a lot more mutually beneficial exchanges compared to a conventional business. Now it’s just a matter of converting those kind of activities into an economic structure so that they can directly create job opportunities. An intriguing example comes from a small, rural town in Western Japan. 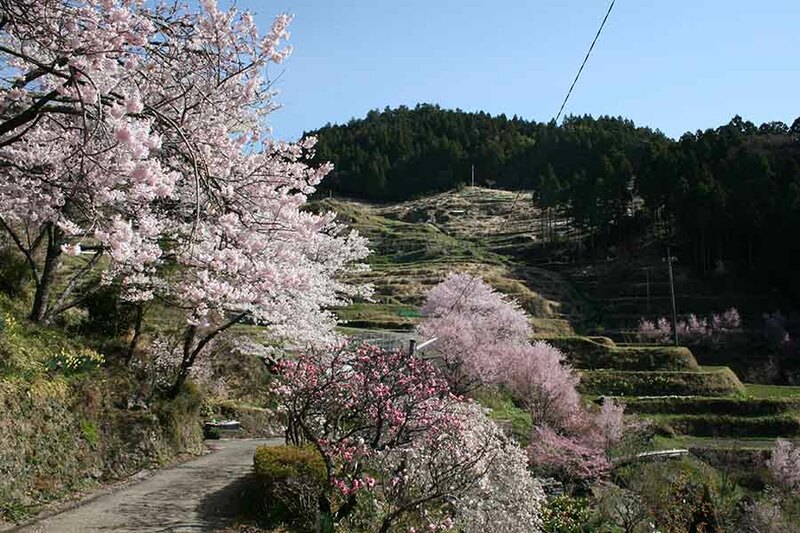 Kamikatsu is a small village in the middle of a mountainous area in the Tokushima Prefecture, Shikoku Island in Western Japan. As of 2018, it was home to only 1,552 people, of whom 51.8% were older than 65. It was a typical rural town with no competitive industries, hard hit by the emergence of the efficiency-first global economy over the last couple of decades. Faced with severe declines in traditional revenue sources such as agriculture and forestry, the town kept losing its younger workforce who couldn’t find local jobs. Only mountains and old people were left behind. At least that’s what people thought. 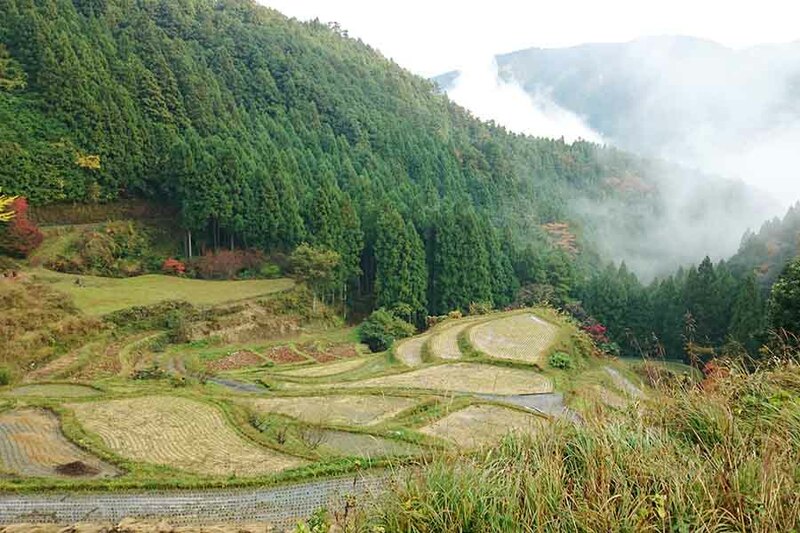 Kamikatsu is a remote, nature-rich small town in Tokushima, Shikoku Island. People traditionally relied on terracing to overcome the lack of flat land. 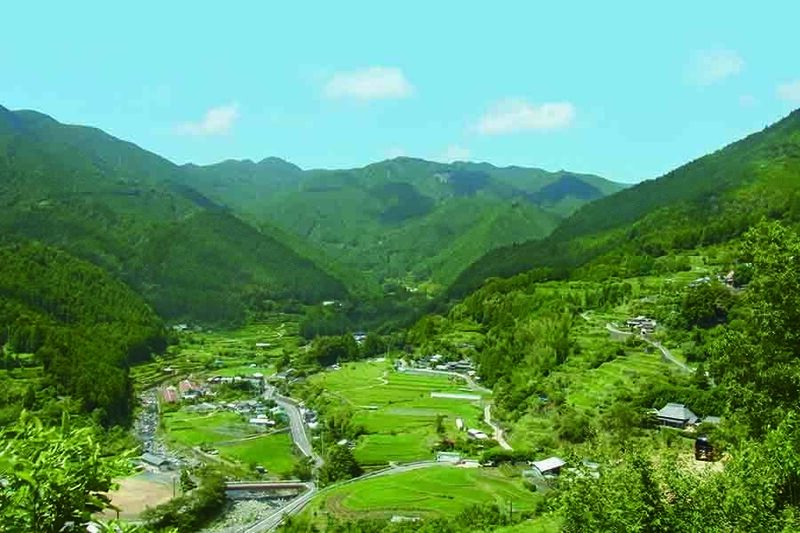 As was the case with many rural municipalities that suffer from a declining economy, Kamikatsu had tried various revitalizing projects and attempted to invite outside investments. But it was not until one man single-handedly started a completely new, peculiar endeavor to sell “leaves” leveraging the power of the elderly. The community not only started to revitalize, but also thrived in a totally unexpected way. The endeavor is called “Irodori,” a local-government affiliated enterprise that brings in about $2.6 million a year for a village with only 1.5K residents. 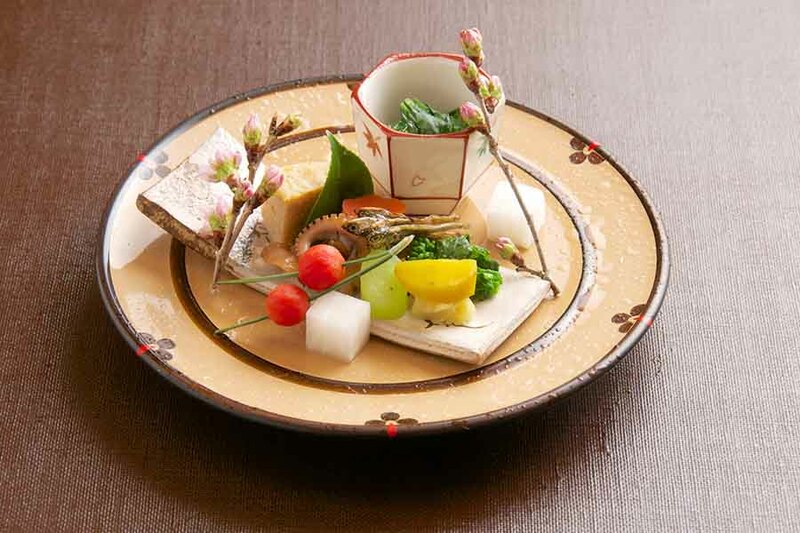 But what is the “leaf business?” If you have been to an authentic, high-end Japanese restaurant, you might have noticed that it uses a variety of plants for decoration and dish presentation. Those leaves are called “tsuma,” a subtle niche market in restaurant industry no one had paid much attention before the Irodori. Only Tomoji Yokoishi, the founder of Irodori, who started his career at Kamitatsu as an agricultural business advisor, saw it as a golden opportunity. “Tsuma” are delicate, often seasonal, small-sized leaves that add aesthetic value to traditional Japanese dishes. 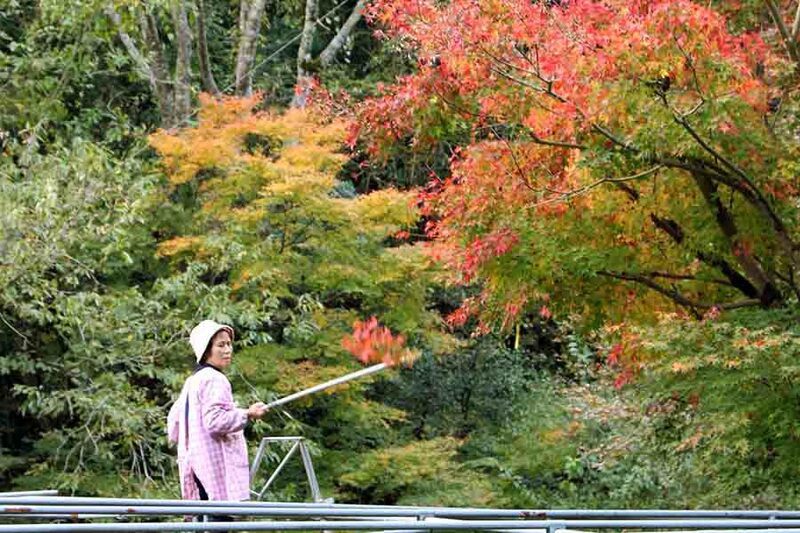 Kamikatsu is rich in nature, enjoys a mild climate and is home to many old people who know how to take good care of it. Yokoishi believed that his town already had all the assets to become a quality supplier of “tsuma.” No additional unfit or doomed-to-fail investments would be needed. 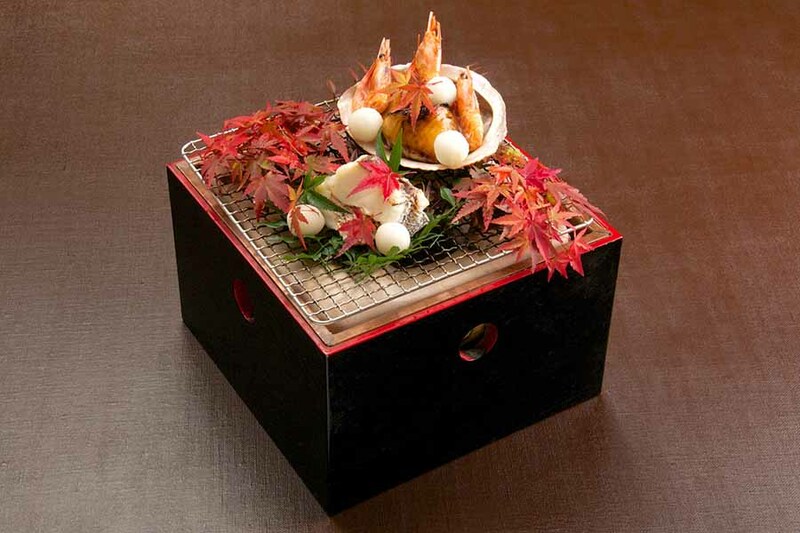 Traditional and authentic Japanese dishes that used “tsuma” supplied by Irodori. 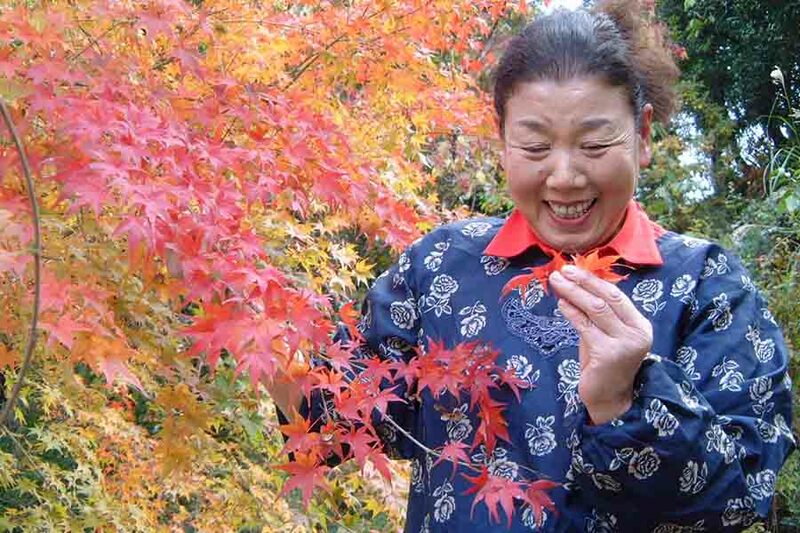 Leaves and flowers add seasonal beauty: buds for early spring, crimson leaves for fall. However, it was not an easy path. When Yokoishi floated the idea in the end of the 80’s, almost everyone’s reaction was: “who would buy random leaves from your garden?” Worse, people at restaurants weren’t receptive to a newcomer like him. But he was undaunted because he was proud and certain about the assets his town possessed. So he kept working to make his project come true, and at some point, his efforts started to bear fruit. Irodori picked up momentum. 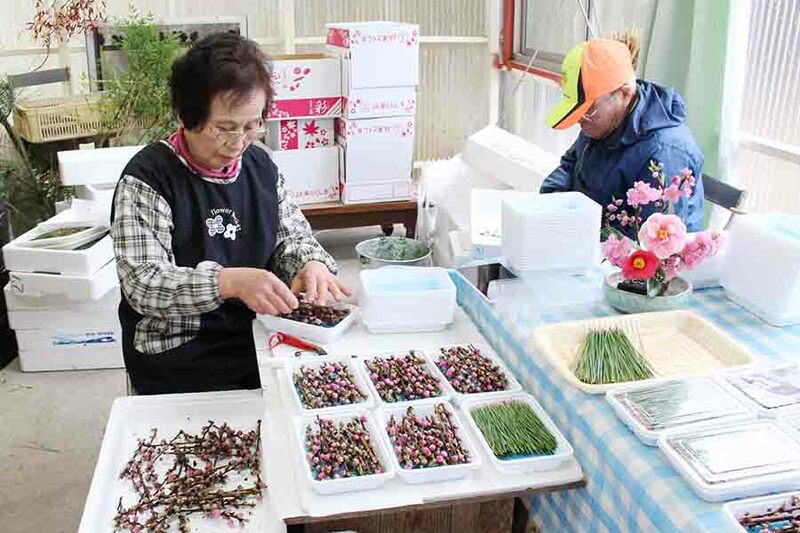 The miracle behind the rapid sales growth was the old people who grew “tsuma” plants, many of whom were grandmas in their 70’s and 80’s. 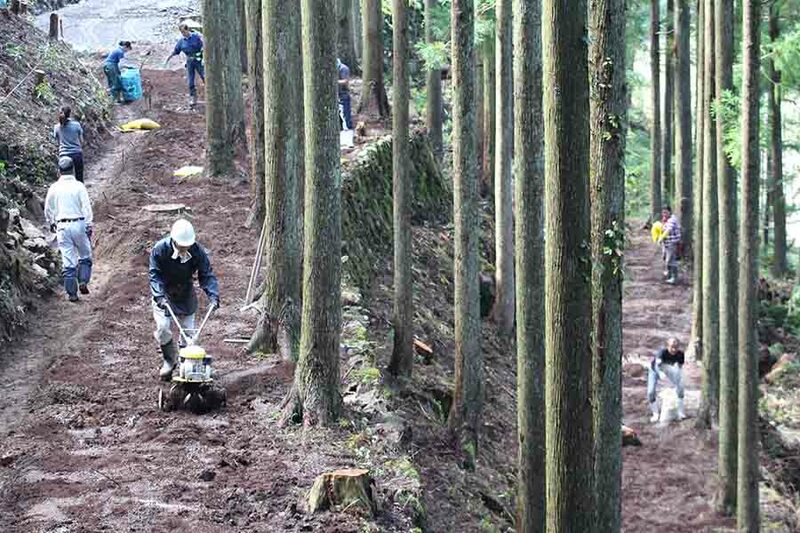 “Tsuma” growers fully leverage the surrounding environment, which is their “competitive edge.” Can you tell which trees and areas are taken care of for Irodori business? 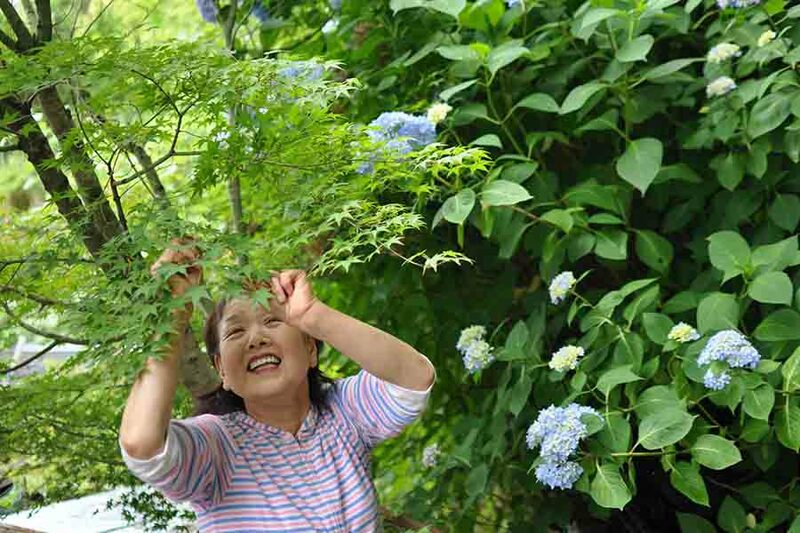 The growers are “vertically integrated” suppliers of “tsuma,” who take care of growing trees, harvesting leaves/flowers and packaging/shipping them. 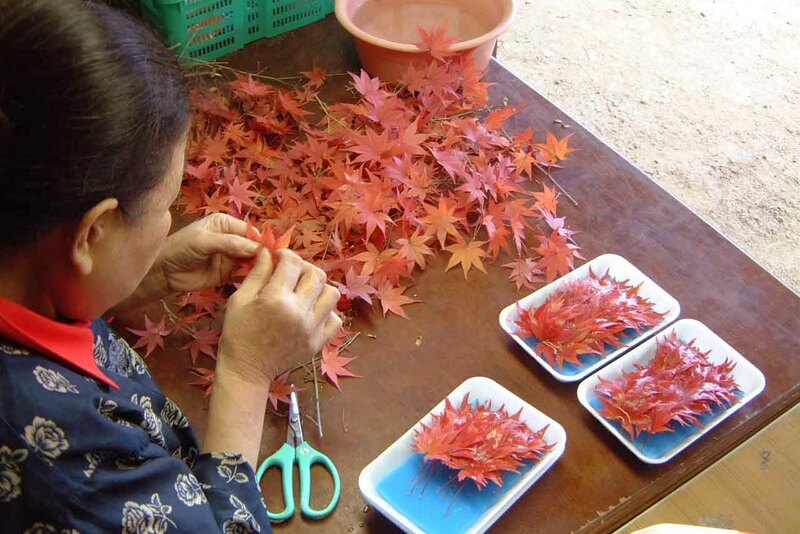 As they quickly realized that they needed to be flexible, agile and reliable to respond to customers’ varying orders – leaves needed to be the right kind (seasonality is a big element in Japanese cuisine), and look good at the right size – they started paying great attention to every detail of the trees they planted so that they could supply the right products at the right time in the right quantity. Soon, they were offering more than 300 different items and competing with each other (in a healthy way) to become the best supplier and top seller. They unleashed all knowledge and skill accumulated in their decades-long hard work in the heart of nature, and each came up with a unique strategy for success. Some would plant a small tree next to a tall one to produce uniquely shaped leaves. 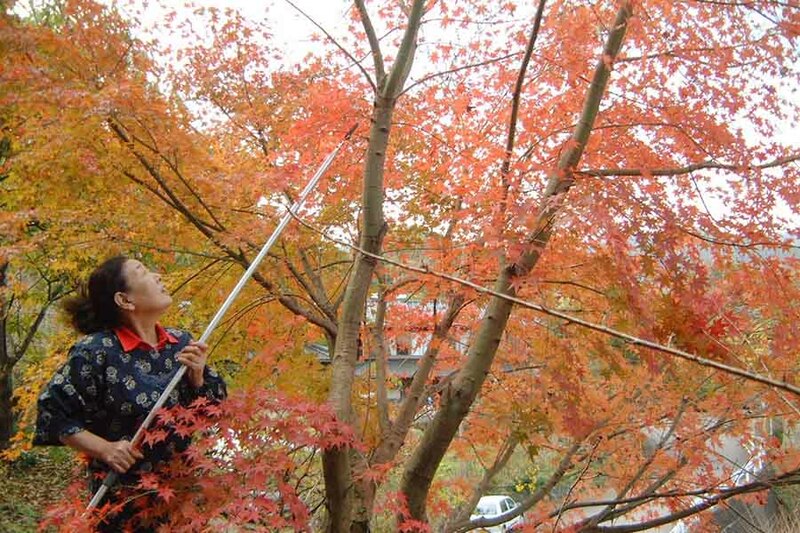 Others knew how to work with the soil conditions to make leaves vividly red in the fall. Yet another would plant trees in certain formations to minimize damage from storms. No one taught or trained them. They naturally became strategic and entrepreneurial. Once they got a good grasp of what they were doing and how they could improve their results, they didn’t even mind learning to use computers and tablets to manage inventory and orders. The growers quickly learned how to use tablets and smart phones to manage order/inventory in order to respond to customers’ requests swiftly. 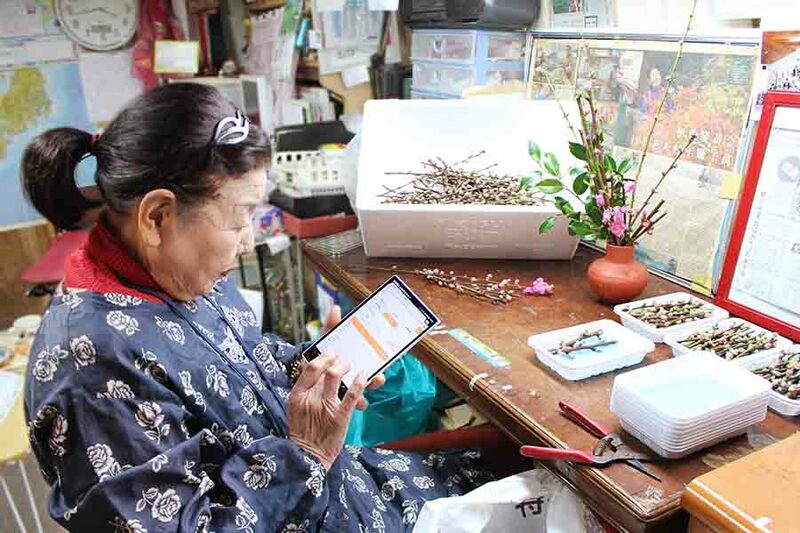 By reminding society of how wisdom and skills of the elderly are unique and competitive, Yokoishi turned them from “inefficient burden” in society to a revenue-generating, self-supported and proud group of professionals. At the end of the day, it was only the efficiency-first economy that believed that this knowledge to live in harmony with nature was obsolete and inefficient. Yokoishi proved that the economy was utterly wrong – there could be no better way to “celebrate the potential we already have” for mutually beneficial exchanges than to leverage old people’s abundant experience. Imagine how high the ROI for this project was! Not only Irodori is adding fresh job opportunities and additional revenue to the local community, but proud grandmas are making their family relationships much healthier, reducing medical costs (they no longer go to see doctors so often), inviting visitors, interns and inspired people who want to move into Kamikatsu. Inspired younger generations across the country consider moving to Kamikatsu. 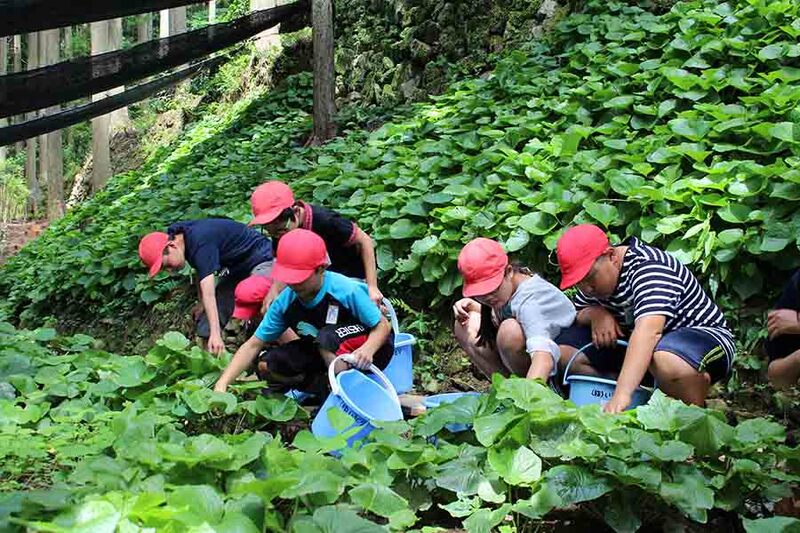 The local government opened new projects in order to provide training opportunities for newcomers who wish to be involved in the leaf business. Irodori didn’t rely on things like the latest marketing strategies, substantial capital investment or state-of-the-art technology to become competitive in the modern market. Instead, he leveraged what already existed, which was so fundamental and basic to humans. Old was their new black. And it was very powerful. It turns out that what you already possess is your most competitive asset, which can easily out-compete what people acquired in order to make their resume look better. Real things are strong and resilient. Since these capabilities are forced to hibernate in today’s economy, you need the right enabler like Yokoishi, who can detect and uncover people’s latent potential and connect it to people how need it. Such enablers can also be a web-based organization. iFixit is a wiki-based online resource that shares repair manuals submitted by users for just about everything, including many for electronic gadgets such as smart phones. It was started in 2003 by two students in a dorm room at Cal Poly, San Luis Obispo, CA, who were frustrated, unable get the parts needed to fix their computers. When they finally figured out how to make them work again, they posted the process online. People appreciated it and started doing the same for their computer problems. Soon, they were repairing their gadgets everywhere. As of February 2019, iFixit has posted almost 50,000 repair manuals, shared by the spontaneous “ifixit”-ers around the world. As its name suggests – no one else but “I” fixes it – iFixit is passionate about encouraging people to use their own power to repair what they have: “If you can’t fix it, you don’t own it. You should have the right to use it, modify it, and repair it wherever, whenever, and however you want. Defend your right to fix.” iFixit sees great potential in the act of repairing. It is about reverse engineering and reverse design. It is about knowing the product from the inside out, and figuring out how it works using your own brain and hands. It is about celebrating your own power. However, such power is almost completely forgotten in today’s efficiency-driven economy because it’s cheaper to buy new products than trying to fix broken ones. Even when there is a perfect manpower supply and demand relationship – people who have abilities and enjoy fixing gadgets, and broken products – they rarely meet because the economy believes it’s inefficient to connect the two. So iFixit just does that. Thanks to the instructions and tools they provide, people have fixed the laptop they’ve been using since middle school, successfully recovered data from a dropped iPhone, and fixed a decades-old door lock system when accidentally locked out of their own home. It’s already amazing, but what’s even more awesome is people’s “I did it!” sense of accomplishment they feel when they successfully bring back life to a once-dead product. “They enjoyed doing it. It’s fun to take stuff apart. It’s interesting to see what’s inside that magic iPod you carry around every day. It’s gratifying to fix it with your own hands,” Kyle Wein, founder of iFixit declares. By the way, micro-soldering requires microscopic level precision. People no longer do it in the US, so it’s most likely that products that require surgery will be shipped to places like Eastern Europe. The micro-soldering mom is almost single-handedly resisting the skill/economic leakage from the country in this unique niche. Just like the GoodGym runners and the grandmas in the leaf business in the small Japanese town, the micro-soldering mom spontaneously unleashed her power in its purest way by focusing on and maximizing its best part, which means the natural talent she is comfortable leveraging, improving and enjoying. This kind of effective power release cannot happen when people are forced to mold their potential into someone else’s job description. But if you flip that around and and start accessing peoples’ inherent abilities, it becomes much easier to maximize people’s potential. That’s what the “less is more” job is about. And speaking of repair, Patagonia does it in a more institutionalized way. The act of repairing something can have a special meaning for humans because at a profound level it is very similar to healing or curing. The items you use on a daily basis can become your friends as you spend more time with them, so fixing them when they are broken could almost mean saving your friends from injuries or sickness. In the previous chapter, we reviewed how Patagonia users go on memorable outdoor adventures wearing Patagonia gear, and end up developing strong bonds with the clothing. When the clothes are finally worn and torn, they feel heartbroken. They want to fix their friends. In order to meet those demands, Patagonia opened a repair center in Reno, Nevada, which is the country’s largest outdoor gear-repair shop that employs 69 skilled repairers who fix more than 50,000 items per year. In this era of mass production where it’s cheaper to buy new than fixing something old, Patagonia created dozens of new jobs that leverage fundamental human skills that were believed to be dead decades ago as a revenue-generating resource. As a company committed to environmental protection, Patagonia encourages customers to reuse/repair/recycle, and the Reno repair center is one of their comprehensive undertakings to reverse the trend of wasteful mass-production. But the real momentum that’s making the act of repair great again in the Patagonia project is their customers’ love and commitment for their gear. At the end of the day, you’d want to repair your belongings only if it brings you more value than buying new ones. Environmental causes are precious, but without the love for their belongings, who would take extra time to ship worn clothes to Nevada, pay for manual labor that typically takes about 90 minutes (that is great care! ), and wait for 6-8 weeks (due to high demand!) for them to come home? And if that’s not enough, many of them even write thank you letters when the repaired clothes make it home. They come from all kinds of places: “Thank you for fixing my clothes so perfectly. I was heartbroken when I accidentally set fire on my jacket I’d been wearing so many years…what you did for me means a lot.” People are exchanging something much bigger than the service of repair, through the act of repairing. It must be clear by now that there are a variety of ways people can exchange value, leveraging their own power. But the modern economy ignores the tremendous potential of non-financial, intangible exchanges and dismisses them as inefficient. 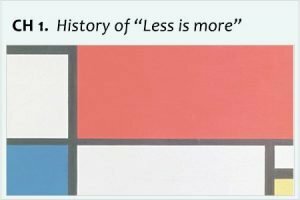 That’s where the new potential of “less is more” can be found. Not every one of us has to have impressive resumes. Technology doesn’t always have to be the new black. Old-style, fundamental power and skills could still be leveraged in a different part of the economy, and bring about the outcome that could be much more important than just sales growth. As long as we don’t give up being a resilient, self-accomplishment appreciating, loving creature, there should be many different opportunities for jobs and a vibrant value exchanges. It should be possible for us to design our jobs more freely and flexibly.